Is there any moment in the फिल्में when आप couldn't control your emotions?if yes then when? Not in the फिल्में - I hardly ever cry when I see films in the cinema, for some reason - but there were points where I couldn't help crying when I first read the books. 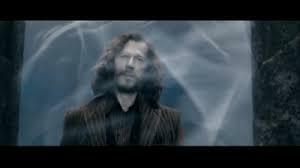 One was Sirius' death. Another was The Forest Again, when Harry was going to sacrifice himself, and the third was in Godric's Hallow. A lot in the last movie.